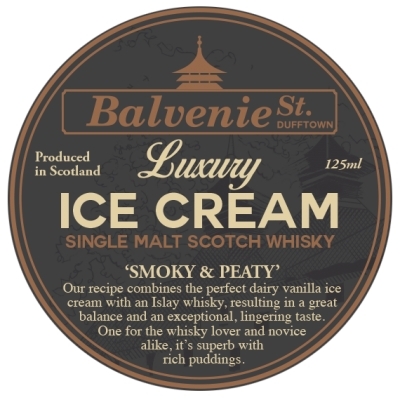 Balvenie St whisky ice cream is available in three single malt flavours to retail at your shop or event, for stock in your restaurant, as well as behind the counter at our own Balvenie St. Ice Cream shop. You can also find us at the local Highland Games and galas during the summer months. To stock our 125ml individual portions please contact us. In our own shop we are able to produce a more extensive selection with our ‘Cask of Characters’ – where a selection of our new and old favourite recipes can be found – Whisky Ice cream so delightful, you’ll be longing for more! 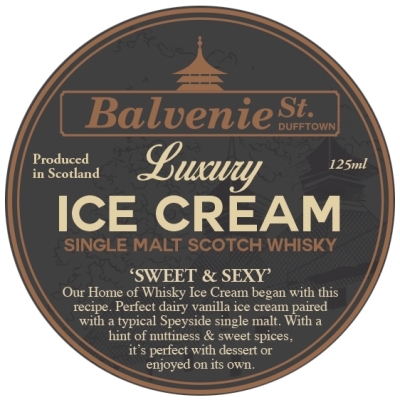 But don’t just take our word for the flavour experience on offer, pop in and taste the whisky ice cream flavour journey for yourself...we promise you won’t be disappointed! 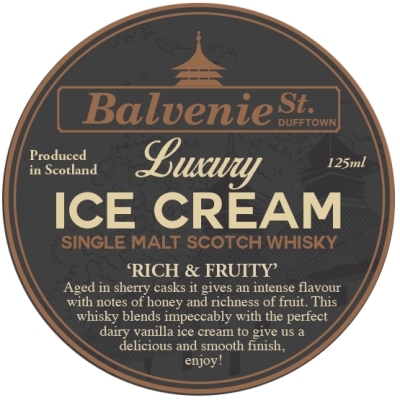 Balvenie Street Ice Cream in Dufftown. Dramtastic Whisky Ice Creams & the best place for ice cream addicts..